Falcon 9 Rocket with expandable landing legs. Credit: SpaceX via Twitter. CAPE CANAVERAL, Florida -- NASA has given the O.K. for the launch of a Space Exploration Technologies (SpaceX) Falcon 9 rocket carrying a cargo resupply flight to the International Space Station (ISS) despite the loss of a computer command relay box aboard the ISS. 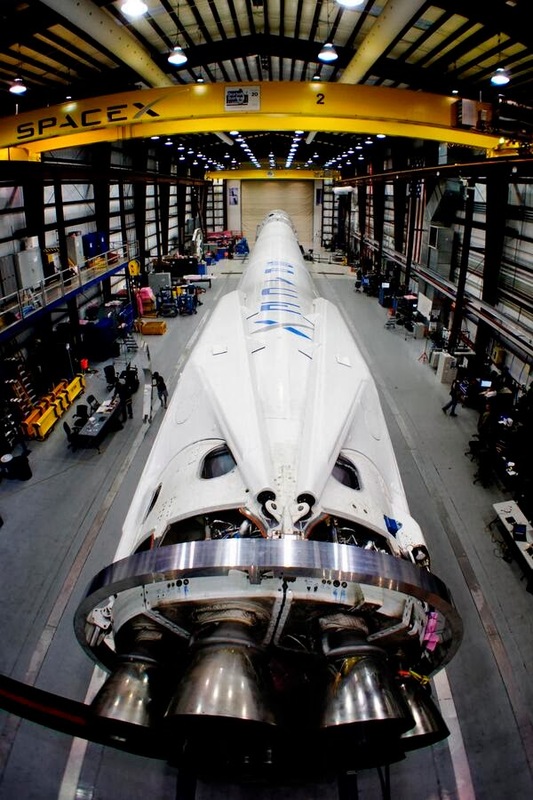 NASA, along with its international partners and SpaceX agreed on Sunday to proceed with the Falcon 9 launch scheduled to liftoff on Monday, April 14, 2014 from Space Launch Complex 40 at Cape Canaveral Air Force Station in Florida. The launch window opens at 4:58 p.m.
NASA concluded that the SpaceX-3 mission could be conducted as planned without violating any launch commit criteria following the loss of a backup computer command relay box called a multiplexer/demultiplexer (MDM). The prime multiplexer continues to operate flawlessly with no impact to station operations, NASA said. Preparations are underway for a contingency spacewalk by two of the ISS crewmembers to replace the failed MDM with a spare housed inside the station no earlier that April 22. The most recent forecast issued by the U.S. Air Force 45th Weather Squadron predicts an 80% chance of overall permissible weather conditions for the SpaceX Falcon 9 launch. The primary weather concern for launch are anvil clouds. SpaceX could make space history once again with this launch. This time, with a controlled descent of the Falcon 9's first stage. Approximately 161 seconds into flight, the first-stage engines will shut down, an event known as main-engine cutoff, or MECO. At that point, Falcon 9 is 80 kilometers (50 miles) high, traveling at 10 times the speed of sound. Three seconds after MECO, the first and second stages will separate. After separation, landing legs will be extended into a 60-foot span from the first stage. SpaceX will then attempt a controlled descent (with the help of retro rockets) of the first stage into the Atlantic Ocean. The ultimate goal of this test is to create a reusable first-stage booster rocket that would decrease the overall launch costs. Once in orbit, the Dragon capsule will rendezvous with the space station where it will be grappled and berthed to the complex for an expected four-week visit. The capsule is filled with about 4,600 pounds of supplies for the space station crew and missions being conducted aboard the orbiting laboratory. Dragon is later scheduled to return to Earth for a parachute-assisted splashdown in the Pacific Ocean off the coast of southern California. It will be bringing back more than 3,600 pounds of experiment samples and equipment.